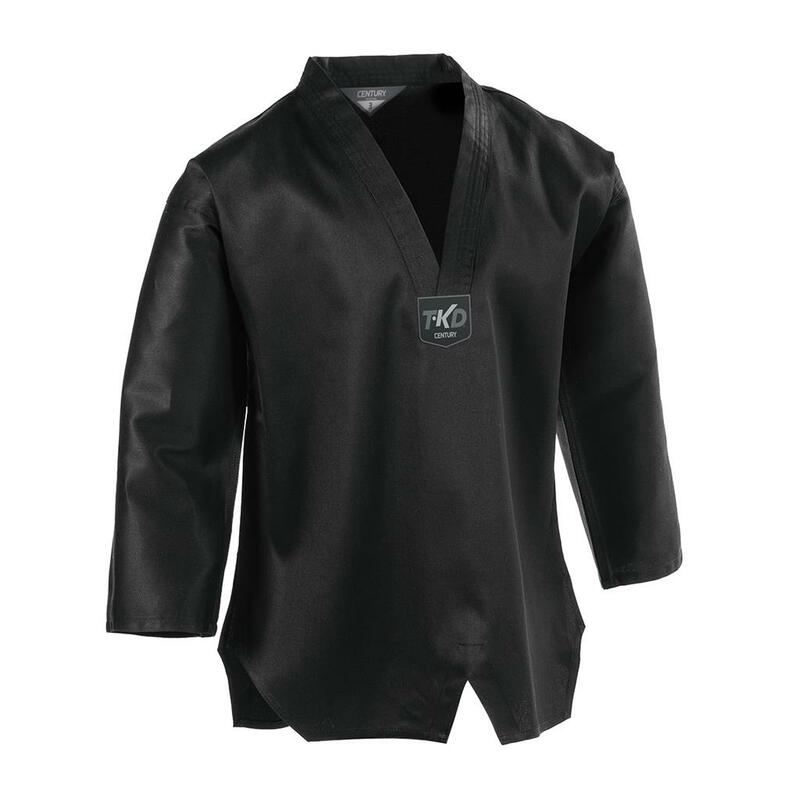 This lightweight, 6 oz. 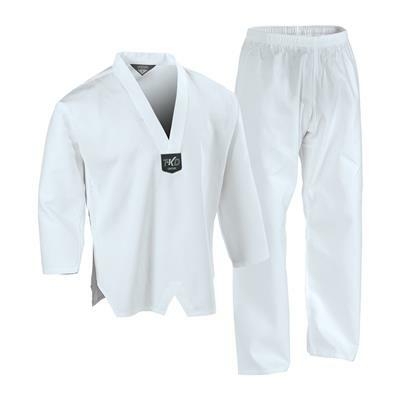 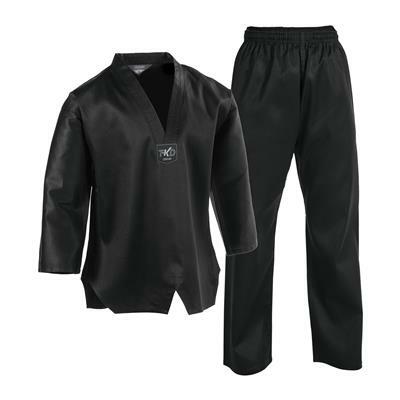 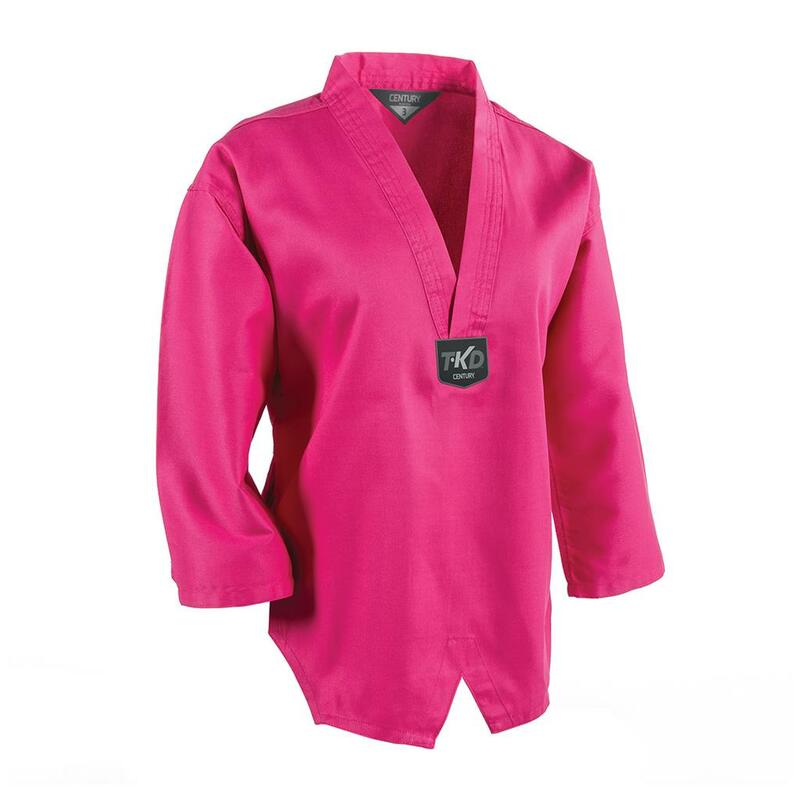 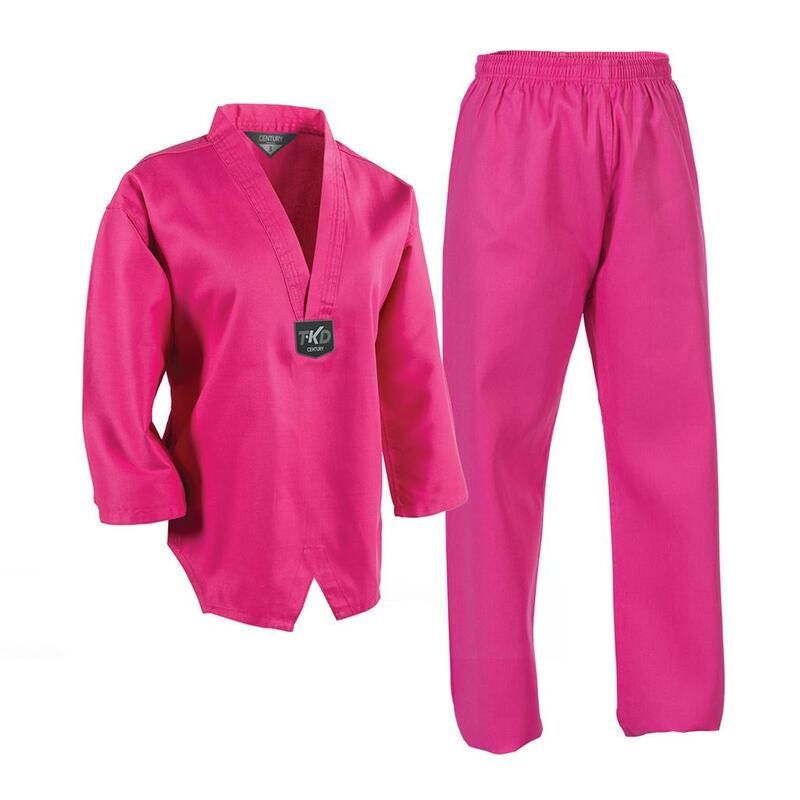 traditional taekwondo uniform provides a sharp, classic look with a V-neck, pullover jacket. 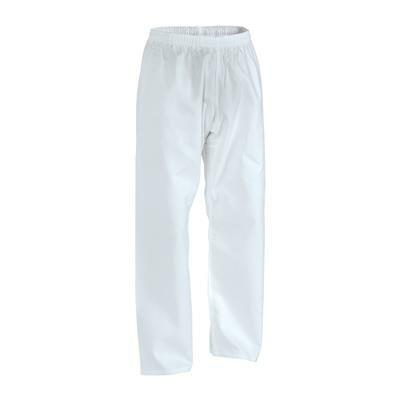 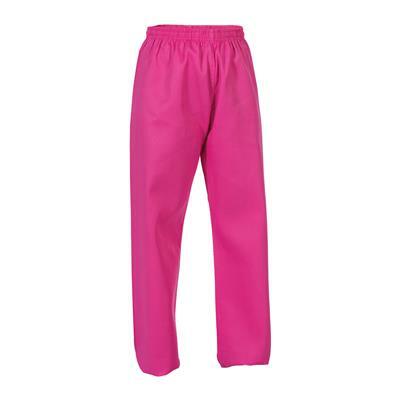 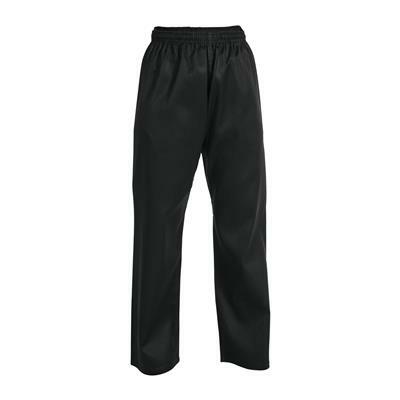 The 1.5-inch elastic waist pants have a three-piece gusseted crotch for increased mobility. 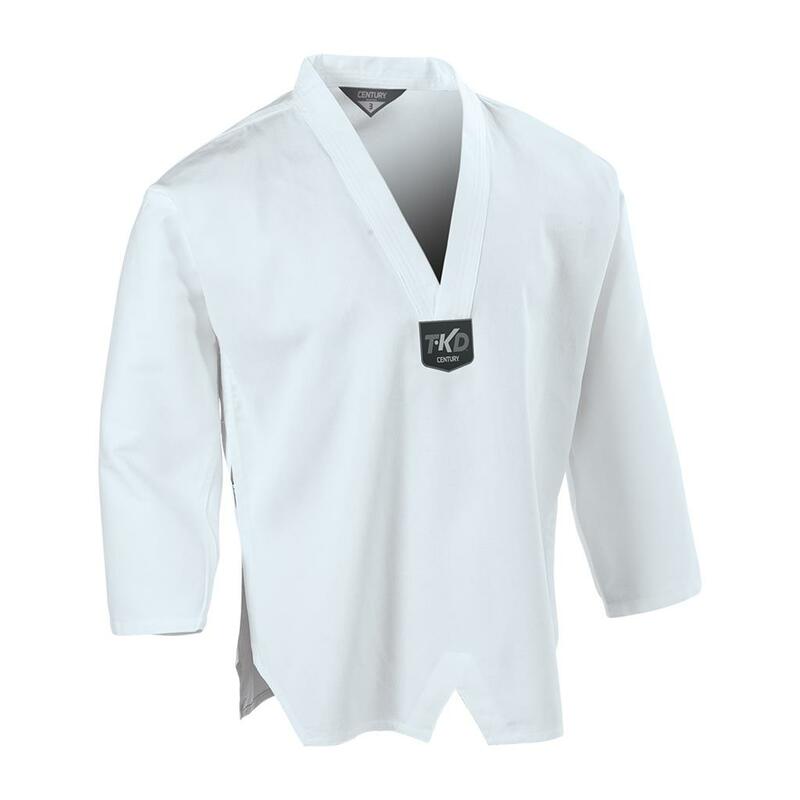 Made of a cotton-polyester blend. Imported.